Elite Traveler, the world’s leading private jet lifestyle magazine, has announced the Top 100 Hotels in the World for 2019. For the third edition of this list, we have carefully selected those hotels that offer the most captivating atmosphere, extraordinary comfort, impeccable service and standout amenities. There are few hotels in the world that keep you coming back for more, so we’ve pulled out the must-do experiences, the must-taste dishes, and the special touches designed to make every stay delightfully different. The Elite Collection takes you from the heart of Botswana’s Okavango Delta to the center of the world’s biggest cities. It features 34 countries to offer a true worldwide variety of hotels frequented by our readers. 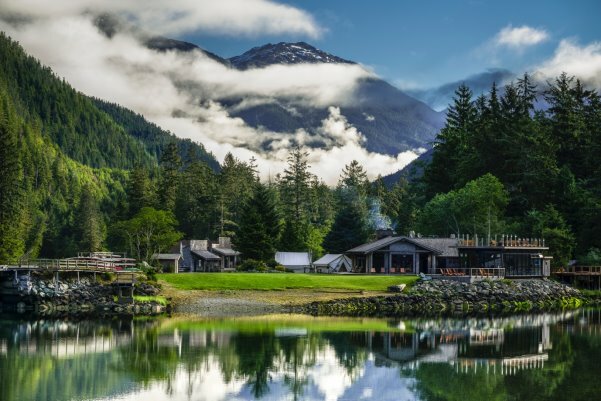 Clayoquot Wilderness Reserve – A completely outdoor hotel set inside a Unesco park where guests can be flown by helicopter to dine on the peak of a 3,000-ft tall mountain. Anantara – One of the highest luxury resorts in the world at 9,800 ft, this hotel offers expansive views over stunning Oman terrain. 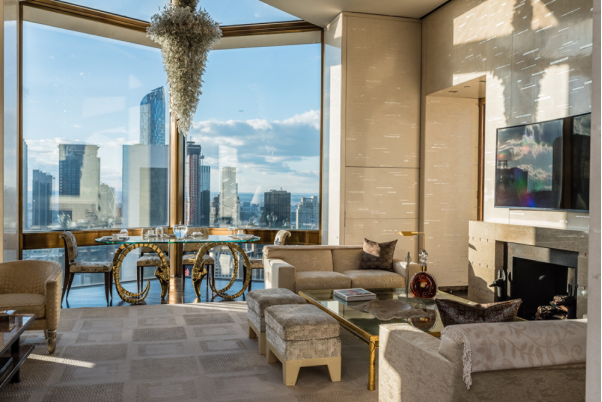 New York Four Seasons – At $50,000 per night, the New York Four Seasons Presidential Suite is tied as the most expensive on the list. 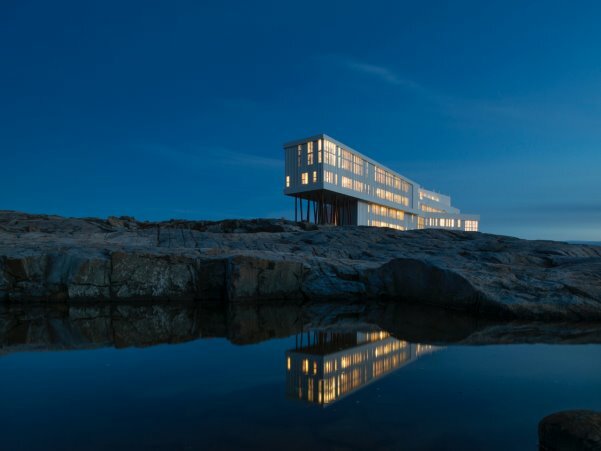 Fogo Island Inn – Perched on what feels like the edge of the world, this hotel may look like a scientific research station, but inside you’ll find crackling fires, a library and a cinema. 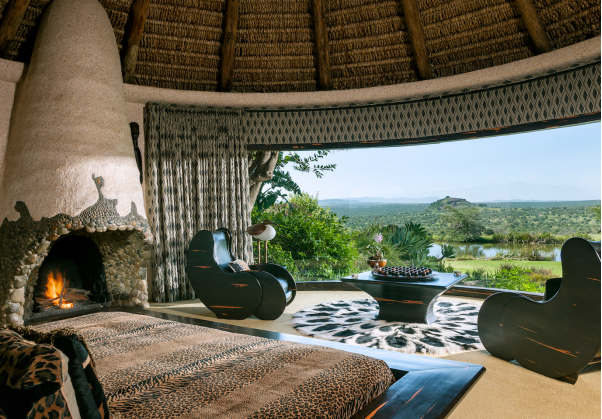 Ol Jogi – A luxury safari lodge offering guests the chance to live among big game in a 60,000-acre wildlife conservancy in Kenya. Exclusive use costs $210,000 per week. 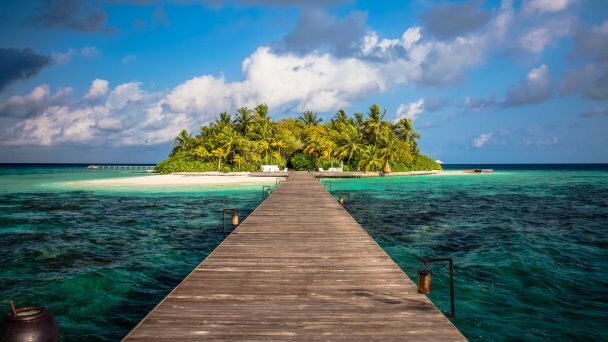 Coco Privé – A private Maldivian island resort sitting among lush tropical jungle, guests can stay in one of five luxury villas or enjoy private use from $45,000 per night. Awasi, Argentina – Situated close to the border with Paraguay and Brazil, this resort offers guests the opportunity to stay in the middle of lush Atlantic forest. The private villas are spread out far enough to make sure the only noise you hear is that of chirping birds. Cavas Wine Lodge, Argentina – Lovers of wine can get up close and personal with the grapes in one of the world’s most prolific wine regions, Mendoza. The lodge is located just five minutes from the country’s finest vineyards, from which you can design custom tasting itineraries. Lizard Island, Australia – Rich in wildlife and scenically stunning, this is the only resort built within a 2,500-acre expanse of national park, and is the northernmost resort on the Great Barrier Reef. Little Mombo Camp, Botswana – In the heart of the Okavango Delta, Little Mombo is an intimate lodge with only three guest tents costing $1,990 per night. While you may not see another human, you’re sure to see a great deal of wildlife. The Peninsula Shanghai, China – When it opened in 2009, the Peninsula Shanghai occupied the only structure built on Shanghai’s historic waterfront, The Bund, in over 60 years. The view from this iconic spot is most captivating from the rooftop bar. Bulgari Dubai, UAE – It’s a challenge to make an impact in the luxury hotel scene in Dubai, but the Bulgari is up to the task. The hotel grounds boast six gourmet restaurants, a private beach, and a marina with 50 boat berths. InterContinental Berlin, Germany – Originally built in 1958, the InterContinental Berlin retains its original William Pereira-designed facade. Inside, you find spacious suites, a stained-glass, dome-ceiling cafe, casino and award-winning spa. Katikies, Santorini, Greece – This hotel spends $29,000 per year on paint to keep the whitewash building spotlessly gleaming: The result is spectacular. The hotel reflects Santorini’s seemingly endless sunshine back into the Aegean Sea. Adare Manor, Ireland – A gorgeous neogothic structure that was once the seat of the Earl of Dunraven, the hotel is as grand as the decor within. The Tack Room boasts a collection of over 100 rare bottles of whiskey from Japan, Canada and, of course, Ireland. Ol Jogi, Kenya – Sitting within a 60,000-acre private conservancy, Ol Joji is available for exclusive use for $210,000 per week. The extremely secluded resort is accessible via a 45-minute private flight from Nairobi. Coco Prive, Maldives – Although a short yacht ride from Malé, the island feels like it is in the middle of nowhere. Just five guest villas and a master residence sit within the thick, tropical vegetation, and you can hire out the island for $45,000 per night. 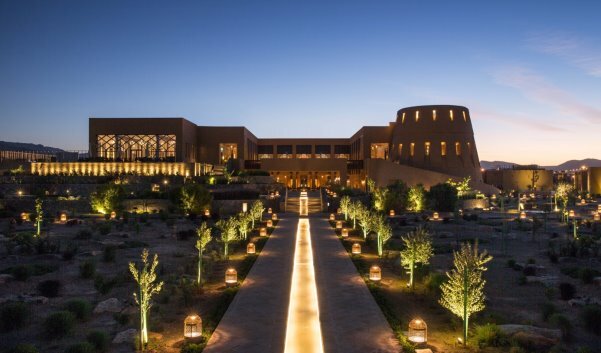 Anantara, Oman – One of the world’s loftiest luxury resorts at 9,800ft, Anantara has breathtaking views of vast, jagged canyons that are best enjoyed from the hotel’s protruding platform. Six Senses Douro Valley, Portugal – Perched high in the Unesco World Heritage Douro Valley, Six Senses perfectly blends indulgence with wellness. In the middle of Portugal’s wine region, there are naturally endless amounts of wine-centric activities to undertake. Mandarin Oriental Barcelona, Spain – Housed in a former bank, the decor is uber cool: monochrome with fresh pops of color and green foliage. Be sure to visit the Michelin-starred Moments restaurant before a nightcap in the Banker’s Bar — the ceiling is made from original security boxes. Dolder Grand, Switzerland – Half fairytale, half ultra-modern, this enchanting palace boasts views of Lake Zürich below and the snow-capped Alps in the distance. The hotel is known for its art collection and displays Andy Warhol’s Big Retrospective Painting in the lobby. The Chedi Andermatt, Switzerland – The mountain retreat has four restaurants, a wine and cigar library, serene spa, salon and state-of-the-art health club. Daredevil skiers will love the deep-snow experience with avalanche training. Shore Club Turks, Turks and Caicos – The Shore Club marks a new chapter for Turks and Caicos tourism. Built in the secluded area of Long Bay Beach, it sits alongside a three-mile stretch of virtually private coastline. The Lanesborough, UK– Overlooking Hyde Park, the Regency-style mansion is one of London’s most exclusive properties. The new Club & Spa features an enormous gym to work off the five-course tasting menu at Michelin-starred Celeste. The Beverly Hills Hotel, USA – This iconic landmark has been a hideaway for the rich and famous for over a century. It counts Howard Hughes, Katherine Hepburn and Elizabeth Taylor in an illustrious guestbook. The Cloister Sea Island, USA – A Mediterranean-style hotel sitting on a private island in Georgia, this luxury resort comes with Southern hospitality infused into every detail. Most guests arrive to find the attentive staff already know their name. The Venetian, USA – This suite-only hotel has the expected opulence and energy of a Las Vegas resort. The Chairman Suite, costing $15,000 per night, comes with its own gym, sauna and swimming pool. Waldorf Astoria Beverly Hills, USA – This Art Deco hotel fits in perfectly with the glamour of the West Coast. The $20,000-a-night Presidential Penthouse Suite, lined with Noir Saint Laurent marble, will leave you feeling like a Hollywood icon. The Encore at Wynn, USA – The upscale Encore offers a true taste of what it’s like to live on the Las Vegas Strip. The Duplex Suite feels more like a mansion than a penthouse. It comes with three bedrooms, a 16-person dining table, fitness room and massage room. Ocean House Watch Hill, USA – A change in 2014 saw a complete renovation of the building, yet pieces of the original property have remained since its 1868 opening, including the phone booth, a handsome stone fireplace and reception desk. The Reverie, Vietnam – Located on the top floors of the landmark Times Square Building, The Reverie Saigon mesmerizes with eclectic Italian design and unabashed opulence. The Saigon Suite starts from $12,000 per night.